One of the many pleasurable surprises at Robin and Colette Weathersbee's "Rhythm Riot!" weekender last year was seeing the jivers flood the dance floor as soon as Wynonie Harris's Lovin' Machine hit the dee-jay's deck. 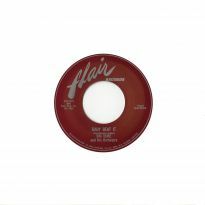 It was hard not to flashback a half-century when Harris's records were sold purely to the R&B communities on the King label. Later in England, the discs were bought by Jamaican immigrants and ahead-of-the game young record collectors on Vogue. 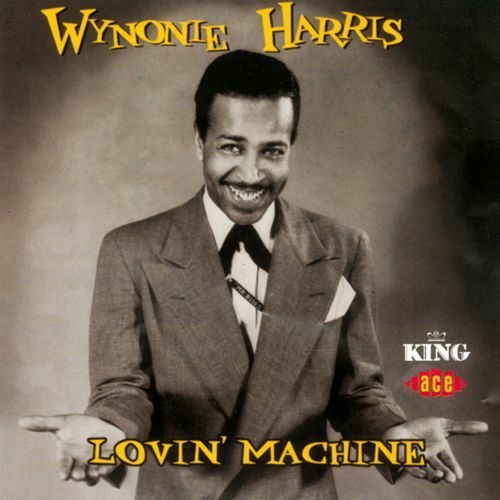 Now in 2001, those enthusiastic young dancers, dressed to the nines, were making it clear that Wynonie's virile brand of rocking music had stood the test of time. 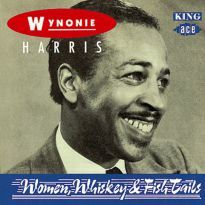 This new compilation homes in on Harris' 1950s output for King, and dovetails neatly with our best-selling earlier Wynonie release, Women, Whiskey And Fish Tails (CDCHD 457). Together, the two CDs represent the Very Best of Wynonie Harris in the you-never-had-it-so-good decade. Harris was a larger-than-life, over-the-top character. Supremely self-confident and a ladies man through and through, he demanded immediate attention. 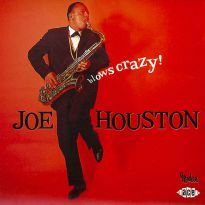 That he was one of the greatest artists in the stand-up blues shouter tradition was almost incidental. His chart statistics are revelatory. 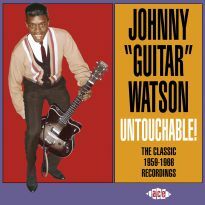 Between 1945 and 1950, he had 14 R&B chartbusters including three #1s: Who Threw the Whiskey In The Well? 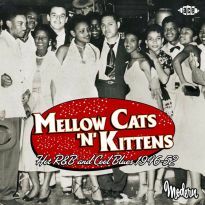 with Lucky Millinder's Orchestra, Good Rockin' Tonight (a leading contender in any first rock'n'roll record stakes), and All She Wants To Do Is Rock. 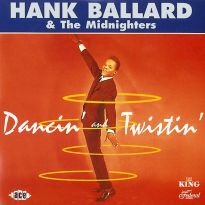 Then in 1951, which is where we come in, his R&B version of Hank Penny's country smash Bloodshot Eyes peaked at #6, and our title track Lovin' Machine made #5 in early 1952. After that, zilch. Why the precipitous decline? Certainly, it was not due to the quality of the music, as evidenced here. Wynonie seemed to be a victim of the vast sea-change which anticipated rock'n'roll. Suddenly the R&B charts were filled with young artists like Fats Domino, Lloyd Price, Johnny Ace, B.B. 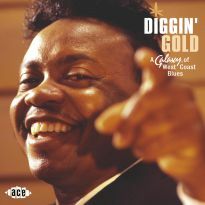 King, Willie Mabon and the clean-cut vocal groups, who were providing the right teen-oriented fodder for the ascendant radio industry and the record buyers, black and white. Simultaneously, the vital jukebox market went into decline. So while the barely-disguised sexual nature of records like Wynonie's Keep On Churnin' and Married Women - Stay Married were fine for the crowded bars and taverns, they were no-nos for radio and the record shop turntables. Any self-respecting parent wouldn't allow them in the house, either. Wynonie's boorish personality did little to help his cause, and in time his loudmouth antics turned off even his most ardent fans. Mind you, Wynonie was not the only victim of this new ice age. 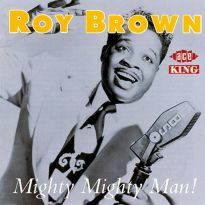 Most of his contemporaries suffered the big chart freeze around the same time, including Charles Brown, Roy Brown, Joe Liggins, Amos Milburn, Roy Milton, and most amazingly of all, Louis Jordan. 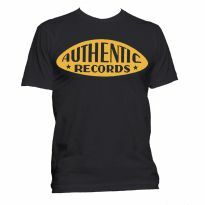 Two artists who bucked the trend were Joe Turner and Ivory Joe Hunter, and it's no coincidence that they both recorded for the hip Atlantic label. The times had changed forever. In his notes, Tony Collins relates Wynonie Harris's story with great insight and passion. Tony, who wrote the award-winning Wynonie biography, 'Rock Mr Blues', has done so much research into the singer's life that you feel he almost knows the colours of Harris's underpants - which seemed to be more down than up. Inter alia, Collins covers Wynonie's torrid relationships with King owner Syd Nathan and producer Henry Glover (both of whom recognised the value of getting a share of a good song copyright). There is a hilarious example of the Nathan/Harris love-hate syndrome here where they outbawl each other in the studio over the timing of a sandwich break. Lovin' Machine and Bloodshot Eyes apart, there are other dance floor shakers such as My Playful Baby, Adam Come And Get Your Rib and Wasn't That Good. But there was much more to Harris's repertoire than uptempo hand-clappers. For example, Here Comes The Night, Luscious Woman and Drinking Blues are slow blues of the highest order. As further illustrations of his stylistic range, he tackles with aplomb pop numbers like Just Like Two Drops Of Water and Do It Again, Please, while Song Of The Bayou is a weird ensemble swamp chant that would have graced with ease the sound track of 'O Brother, Where Art Thou?'. To give a rounded picture and to highlight the desperation in the Harris camp by 1954, we have included two re-records of Wynonie's #1 hits that were cut as forlorn attempts to cash in on the mambo craze, Good Mambo Tonight and All She Wants To Do Is Mambo. 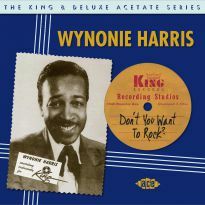 Shortly after, Wynonie was dropped by King but he was re-signed briefly in 1957. From his last sessions for Syd Nathan come That's Me Right Now, with an impressive up-to-the-minute Ray Charles band sound, and the prescient A Tale Of Woe. 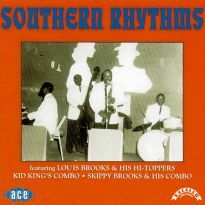 The CD is rounded off with the storming boogie All Night Long by the Royals in which Wynonie takes the vocal in the middle eight. Inevitably, Tony Collins has the full story, but as with a good movie, I will not divulge it here. 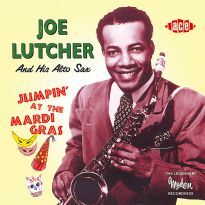 The featured backing orchestras are led by Lucky Millinder, Todd Rhodes and Sonny Thompson, seasoned pros all, with the sessions split between Cincinnati and New York. 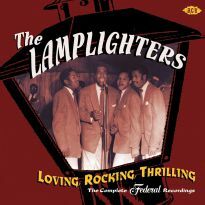 This invigorating set can only enhance Wynonie Harris's reputation as a top class blues shouter. 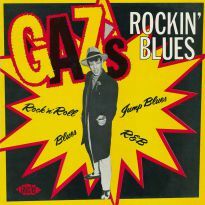 He fully justifies his "Mr Blues" title - and he sure can jump'n'jive with the best of them. Just ask the crowd at the next "Rhythm Riot!" It hits the spot like a shot of that good, good whiskey. This is a very important and highly entertaining release.